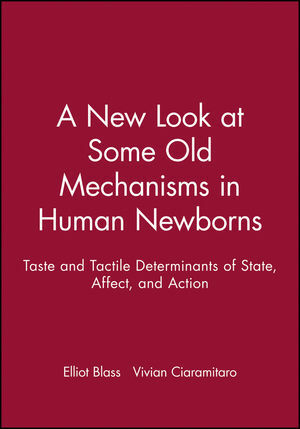 Elliot Blass and Vivian Ciaramitaro are the authors of A New Look at Some Old Mechanisms in Human Newborns: Taste and Tactile Determinants of State, Affect, and Action, published by Wiley. The Behavior of Infants Born to Methadone-Maintained Women. Discussion: The Psychobiology of Early Mother-Infant Interactions.